Flyt has built a universal integration platform for the hospitality industry. Our platform makes it simple and hassle free for hospitality operators to adopt and install new guest facing technology, integrated into their existing systems. In an age where technology giants are dramatically changing our high streets, we passionately believe there is irreplaceable value in physical venues that cannot be replicated online, but can be considerably enhanced through great technology. 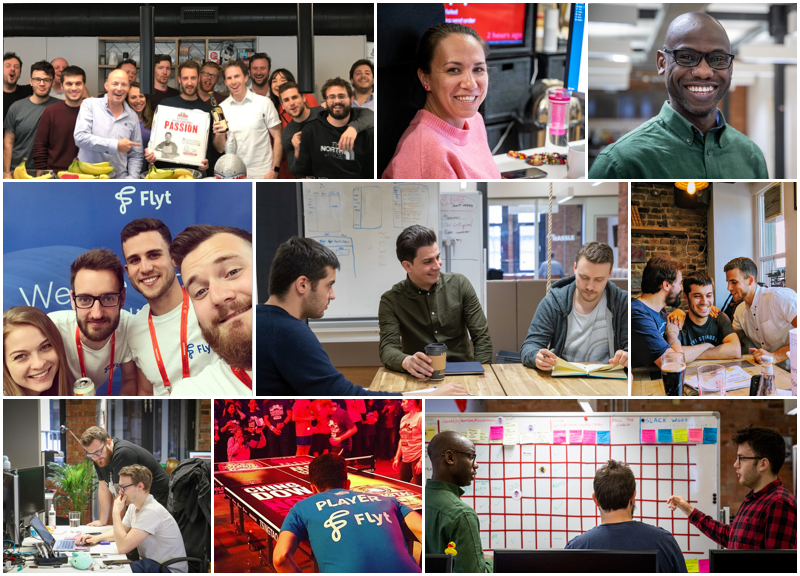 Flyt have done all the hard work of connecting the reality of venues with the world of technology, so you don’t have to. Through our APIs we can power and integrate a variety of experiences: Pay at Table, Delivery, Bar Tabs, Order at Table, Order Ahead, Table Management, Digital Voucher Redemption, Food Ratings, and many other solutions built by best of breed service providers. We work with leading hospitality operators and consumer platforms including Nando’s, Mitchells and Butlers, PizzaExpress, Just Eat, and Facebook to enable solutions in thousands of venues across the UK.